Our Emergency Departments at Sandwell and City Hospitals are currently very busy. Please only visit our Emergency Departments if your condition is serious or life threatening. There are a number of alternative health care services you can use for treatment. Most GP practices are offering weekend access. To find out if your practice is participating in this scheme please call the usual practice phone number and listen to the full instructions. This service is available 24 hours a day, seven days a week. 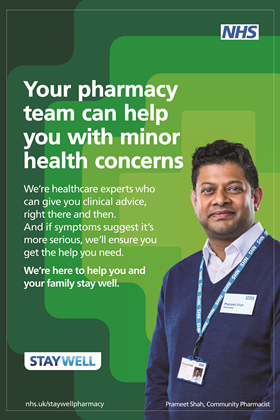 Patients can get medical advice, self-care support, prescriptions and in some cases book appointments. Just dial 111 from any phone, there is no cost for patients who are calling from a landline or a mobile. Patients can also download the Ask NHS App. 328-330 Dudley Rd, Birmingham B18 4HJ. 93 Shireland Road, Smethwick, B66 4QJ. West Gate Plaza, 19 Moor St, B70 7AD. Asda Superstores, Brickhouse Lane, Tipton, DY4 7HW.